We live in a very toxic world today from the air we breathe, the food we eat to the products we use everyday in our homes. According to the Environmental Working Group, environmental toxins have been linked to increases in asthma, allergies, eczema, cancer, birth defects, auto-immune diseases as well as learning and behavioral disorders. One of the most pressing health concerns of the Environmental Protection Agency is indoor air pollution. One of the easiest things we can do to decrease the amount of toxins in our environment and improve our health is to switch to environmentally safe products. Common everyday products like moisturizers, shampoos, sunscreens and shaving cream as well as household cleaning and laundry products usually contain toxic ingredients that are known carcinogens, endocrine disrupters and a host of other chemicals that have never even been tested for their safety. As consumers, we can make an impact by shifting our spending towards more environmentally responsible companies. If we educate ourselves, we can make better choices that are healthier and safer for us and the world we live in. If you’ve read about the research on environmental toxins and health then congratulations because you’ve already taken this first step! You are in charge of the health of your home and family and you CAN make a difference. Be aware that many of the chemical ingredients in consumer products contain known carcinogens and endocrine disrupters and many other chemicals that have NOT been tested for safety. Current government regulations do NOT adequately protect the consumer and health experts warn that asthma, allergies, eczema, cancer as well as learning and behavioral disorders are on the rise due to environmental toxins. Pesticides are any ingredients designed to kill other living organisms. 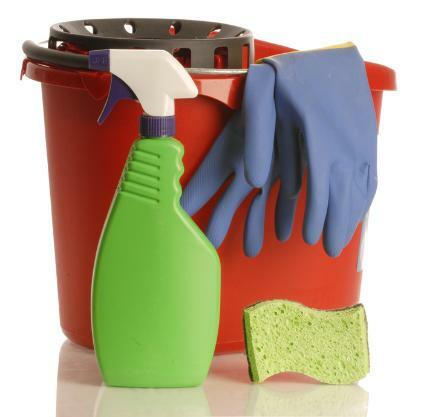 Disinfectants including chlorine bleach and Lysol are included in this category. Eliminate the use of pesticides in your home and garden and look for safer alternatives. Avoid using chlorine bleach and Lysol. Instead choose disinfectants that use natural ingredients that have been proven by the EPA to kill germs. Choosing ORGANIC FOOD whenever possible is highly recommended because some pesticides can’t be washed off the food. Check out the Environmental Working Group’s “Dirty Dozen” list of the fruits and vegetables that have been found to have the highest amounts of pesticide. Aerosols contain dangerous chemical propellants that contribute to indoor and outdoor smog and health problems including lung irritations, asthma symptoms and even central nervous system damage. These products include hair spray, aerosol deodorants, air fresheners like Glade and strong disinfectants. Go around your house with a box labeled TOXIC and fill it with products you don’t use, don’t need and definitely don’t want including pesticides, harsh cleaners, solvents, paints, any aerosol can and even your air fresheners. Remember, even while stored, products emit Volatile Organic Compounds which create harmful indoor air pollution. Household cleaning products are considered HAZARDOUS WASTE and must be disposed of safely at the Hazardous Waste Facility in your area. The problem with energy efficient homes is that they keep air pollution inside. The EPA estimates indoor air is up to 5 times more polluted than outdoor air. Just 15 minutes of open air exchange can change the air in your entire home. Volatile Organic Compounds (VOCs) out-gas from dry-cleaned clothes, cleaning products, new carpet and new furniture causing respiratory and other illnesses. The dishwasher is one of the biggest AIR polluters in your home; it strips chemicals in the water and detergent and puts them into gas. If you’re using chemical dish detergents containing chlorine, do not open while it’s running; ventilate while it’s running; and wait one hour to open after complete. Reduce pollution with filtered water and try an environmentally safe detergent that’s phosphate and chlorine free. Look at the products you use every day and switch to non-toxic alternatives. Get rid of household cleaners that have labels of DANGER or WARNING. As a consumer, you do have a choice on what types of products you bring into your home. Choose non-toxic household and personal care products that use naturally derived ingredients that are healthier and safer for you, your family and the environment. Disclaimer: Milder cleaning agents may sometimes require more scrubbing. I don't claim to have the best yet. If you have something that you have found that works well for you that you wouldn't mind sharing if deemed acceptable please e-mail us at biblepathways@hotmail.com. Note: We have really enjoyed this lotion. 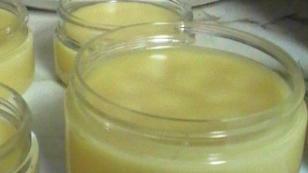 It is a little greasier than traditional lotion, but is so good for your skin. It has really help some people with peeling skin on their feet. It also make a good lip balm which, of course, could be edible, but if you eat it you won't have any lotion. I don't think we'd ever trade it for the old chemical kind. We personally, have had a good experience with this shampoo. It's not thick like regular shampoo, but it seems to work for all our hair types. If you have oily hair you may have to wash it a little more often. I have dry hair and have never been able to get away with not using conditioner, but I haven't had to use any since implementing this shampoo. Some people have told me they just use baking soda to wash their hair. I personally did not find this to work too well because my hair was already dry. A friend of mine uses baking soda and apple cider vinegar, and although I wouldn't eat this combination, it would definitely be preferable to cancer causing formaldehyde that is in many of the commercial shampoos. After you’ve scrubbed your scalp with the baking soda, rinse with 1/2 cup of apple cider vinegar. You can also use 1 Tablespoon of vinegar mixed with 1 cup of water for a lighter mixture. My sister-in-law had been swimming in a chlorinated pool three times a week and felt the plain castile soap shampoo did not rehydrate her hair enough. She seemed quite pleased with this one, so you might used it for dry and damaged hair. Use about a teaspoon every time you shampoo. This shampoo lathers up well. Find a small, sturdy glass jar with an air-tight lid. Add all ingredients except the water. Mix in water (preferably filtered) one tablespoon at a time until a thick paste has formed–it won’t take much. Brush! Mix in a spray bottle and you will have a window cleaner that does not streak and is nontoxic. Distilled white vinegar can be used as a fabric softener. 1/4 to 3/4 cup to the final rinse cycle. If you have a liquid-fabric-softener dispenser feature on your washer, you can add it there. I use a refillable fabric-softener/laundry ball and add vinegar instead of retail fabric softener. Once the laundry is dry, you won’t smell the vinegar on your clothing. You’ll discover it also helps keep colors bright, prevents lint, aids in odor removal and fights stains. It is very good at removing a urine smell if you have potty training children. Yields 2 toilet bowl cleaner bottles approx.. Begin making this recipe by combining the water, vinegar and hydrogen peroxide in the mixing bowl and stir it well with the wooden or plastic spoon. If you choose to use essential oil, add it at this time and then stir the blend again. Once the blend is thoroughly mixed pour it into the plastic bottle to store it and replace the lid. Don't add the baking soda yet, because the baking soda will react with the vinegar and peroxide causing a great deal of fizzing. This fizzing reaction will help you clean the toilet so I suggest you add it as you are cleaning. Baking soda is also naturally abrasive, adding it last will ensure some of it is un-dissolved giving you more scrubbing power. Note: When I followed this recipe I used old toilet bowl cleaner bottles for the liquid part and a large spice container with good sized holes to sprinkle the baking soda with. Let this fizz a little while before scrubbing. Make this in small batches because it can dry out and harden when stored. Keep any remaining mixture in an air tight container. This scrub can also be used to clean the toilet. In a bowl, combine the baking soda and castile soap. Add the water and stir with a fork. Stir to make a nice soft, paste-like, consistency. We will add more recipes as they are tested and approved.